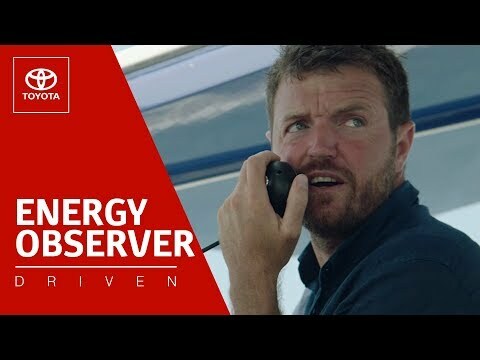 This is the story of Victorien Erussard and Jérôme Delafosse, team members of the Energy Observer. Pioneers in environmentally friendly sea transport. Innovators. Idealists. What drives them to go on an odyssey for the future, aboard the first hydrogen vessel? How do they draw energy from nature, without damaging it? Why do they dream of a different future? How do they want to change the world on a big scale? And why do they find it so symbolic to moor in Venice? This series is not about Toyota cars. Driven is a story about the people who drive our cars. And more importantly: it is about what drives them. It is a story about their direction in life rather than their destination. We are not selling you a car. We are showing you a dream. We are telling you a story and hopefully taking you along the road. Where are you heading?